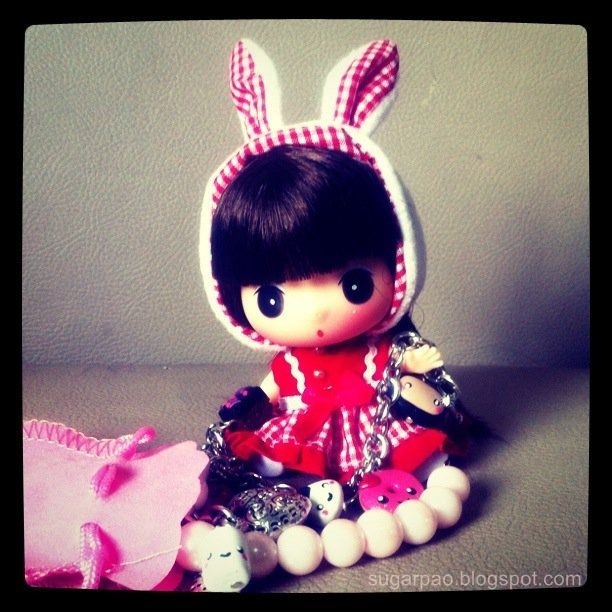 The accessories below are from the Tinypinkbow. 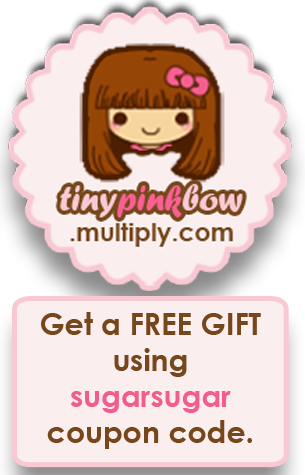 Owner/blogger MissKatV contacted me to sponsor a giveaway on my blog. She was kind enough to send me a bracelet to try out and I also ordered some pieces just because I think they're super cute. 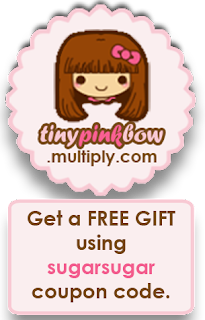 LINK to my tinypinkbow giveaway. 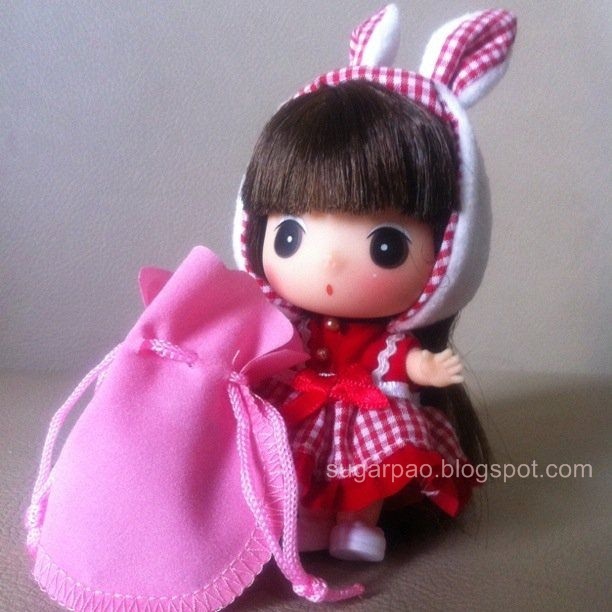 All Tinypinkbow accessories come in this tiny hand-sewn pink bag. 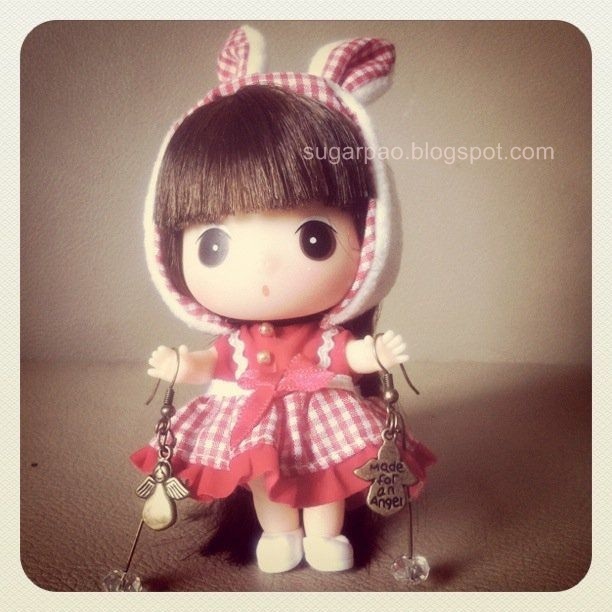 My Ddung doll insists on having her picture taken with such cute stuff. The only thing I dislike about this bracelet is the latch. While it might be caused by my long nails or big fingers, I found it a challenge to remove and lock the same in place. This is my favorite among the stuff I got! Although I won't really be wearing it anywhere, anytime soon because I'm afraid that the charms would get deformed or lost though they seem well made and durable. All the yummy charms are handcrafted and made with loads of TLC. I ordered these earrings for my little sister. If not for those doe-eyes she would pass for my sister. LOL!